I received Lancome's Visionnaire Advanced Skin Corrector* in a goodie bag, at a Lancome event around Christmas time last year. I've been using more or less everyday since I got it, and thought it'd be something you guys would like to hear about! It's a cult product, and rave reviews pop up about it constantly in the beauty world. 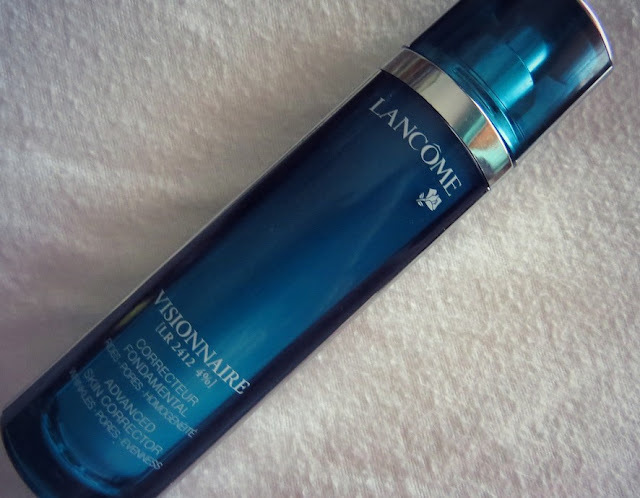 Visionnaire contains Lancome's new-ish skincare saviour; the LR 2412 molecule (the number being the amount of attempts it took to get the Visionnaire formula just right)! It's a product that was a whopping 12 years in the making, so I knew it was going to be something special. Like most skincare products, Visionnaire takes around 4 weeks to start showing its benefits to the skin. It claims to improve the appearance of wrinkles, minimise pores and even out the skintone. For me, it's a cross between a serum and a moisturiser; it's quite hydrating, so I use this instead of a moisturiser at nighttime. I've been using it for nearly 3 months now, and my skin has without a doubt improved by using Visionnaire. 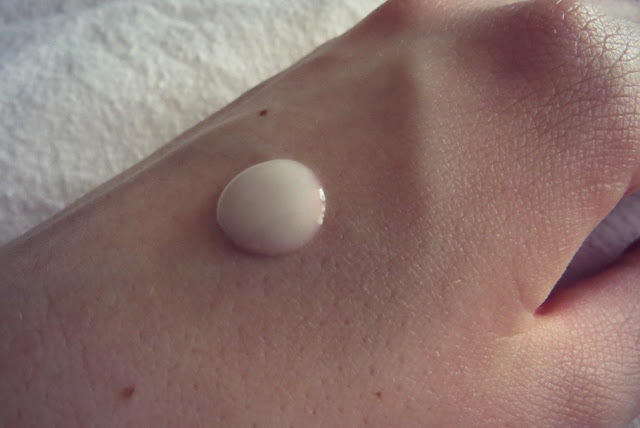 I use 2-3 pumps of the product, and massage it into my skin after I tone. It feels nice and watery on the skin, and sinks in instantly. My skintone has without a doubt evened out by using this; I have extremely pale skin, which can turn red and corpse-like during the Winter. I've noticed a reduction in redness this Winter, whilst using this so that's been a definite plus. I get quite large pores in my T-Zone area also, especially around my nose. Visionnaire has improved the appearance of the pores, which it makes makeup application that little bit less stressful (less primer). I don't have wrinkles just yet (thank god), so I can't tell you if this improves the appearance of them - I presume it does however, seeing how great it is at everything else. The 30ml bottle I have is €70 to buy (*faints*), so to say applying Visionnaire is a luxury, is an understatement. However, it lasts ages and you get out, what you put in with skincare products! I've been using it since December, and it's not even half gone. The bottle is gorgeous and light-enough in weight, so it's handy for travelling. I'd highly recommend this if you want to rejuvenate your skin, correct the overall look of it and want to treat yourself to a little bit of luxury. Ask for a tester at your nearest Lancome counter, to try before you buy! Have you used Visionnaire before? What did you think?